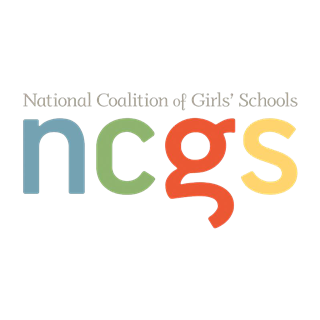 We believe that the opportunity for participation in interscholastic athletics is an important part of the educational experience. 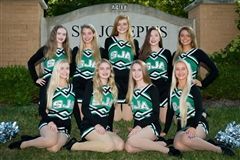 St. Joseph’s Academy provides student-athletes an educationally sound and supportive environment that enables them to acquire the skill, knowledge, leadership, sportsmanship and dedication necessary for personal growth. Congratulations to all 7 of our fall sport teams on receiving the Outstanding Scholastic Achievement Award! Way to go, Angels! 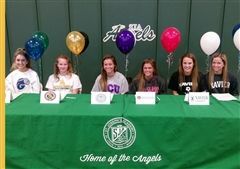 On November 14, nine SJA scholar-athletes signed National Letters of Intent. Go Angels! 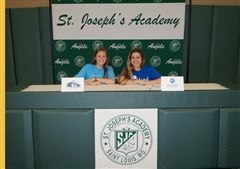 On April 11, two SJA scholar-athletes signed National Letters of Intent. Go Angels! 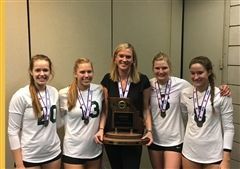 Coach Katie Kieffer Richardson '99 was named the Missouri Class 4A Volleyball Coach of the Year! 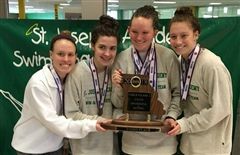 She led the Angels to victory at the MSHSAA Volleyball State Championship in October. 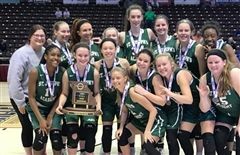 Coach Richardson is the first SJA coach to both play on a St. Joe state championship team (1998) and coach a St. Joe state championship team (2017). 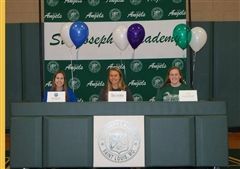 On February 7, three SJA scholar-athletes signed National Letters of Intent. Go Angels! Congratulations to all 12 of our fall sport teams on receiving the Outstanding Scholastic Achievement Award! Our average athlete GPA was 3.9 this semester. Way to go, Angels! 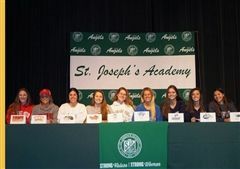 Earlier this month, eight St. Joe scholar athletes signed National Letters of Intent. Go Angels! 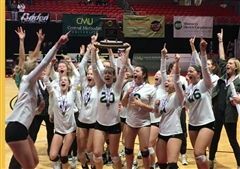 Congratulations Volleyball on Their State Championship! 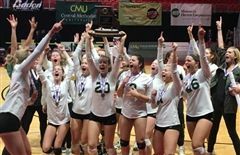 Congratulations to Mrs. Katie Richardson and her volleyball players for bringing home SJA’s 9th state championship! Click here to read more. 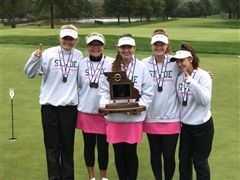 SJA Varsity Golf Team Wins State! Congratulations to our back-to-back state champions! 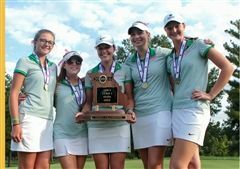 The Golf Angels secured the state championship again this year - click here to read more. 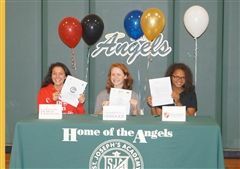 On Wednesday, April 12, three SJA scholar athletes signed their National Letters of Intent. Congratulations! 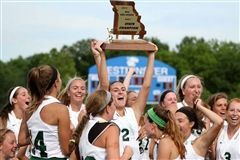 All 12 of St. Joseph’s Academy athletic teams received MSHSAA’s Outstanding Scholastic Achievement Award. Our scholar athletes were able to maintain GPAs that averaged over 3.25 this fall. 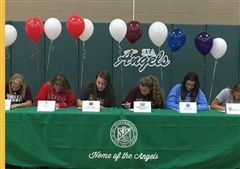 Congratulations Angels! 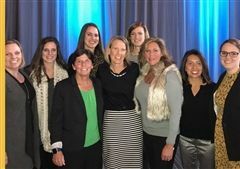 St. Joseph’s Academy Assistant Principal Karen Davis has been selected to be inducted to the American Volleyball Coaches Association (AVCA) Hall of Fame. 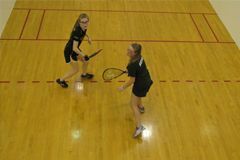 Davis has earned this prestigious acknowledgement through her hard work and dedication to the program. 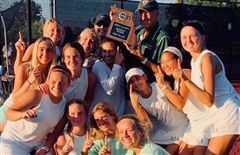 She coached at the Academy for 21 seasons and led the Angels to win eight state championships and four state semifinals. 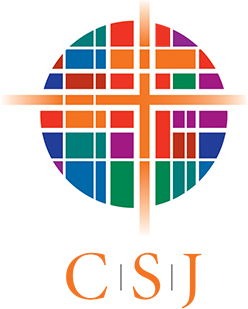 The SJA community is beyond proud of this incredible accomplishment. Click here to read the article from the stltoday.com. "She is an amazing coach, who made my high school volleyball experience unforgettable." 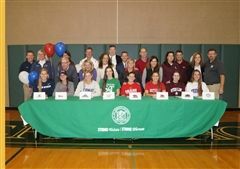 National Letter of Intent Signings - Congratulations! Congratulations to these six scholar athletes on their National Letter of Intent Signing on November 9th. 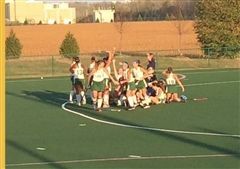 Field Hockey Wins State Championship! 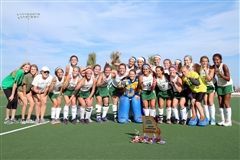 Congratulations to the field hockey team on their win at the State Championship! 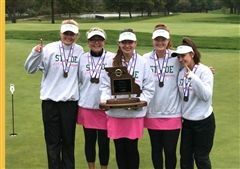 Golf Team Wins State Championship! Congratulations to our golf team on their incredible season! 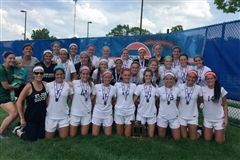 Click here to read more about the state championship.